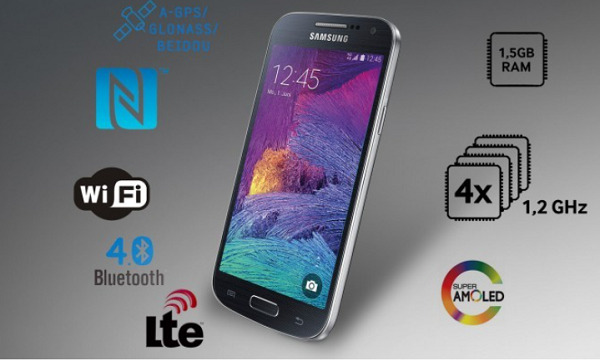 Samsung has released a new variant of the famous Galaxy S4, the Galaxy S4 Mini Plus. The Galaxy S4 Mini Plus is further sub divided into two variants, the normal one and a Value Edition depending on the geographical location. There are several new variants of Galaxy S4 Mini Plus which are Mini, Activ and Zoom. The new thing in this variant of the flagship phone is the improved chipset. Redt of the specs are otherwise same. The chipset that has replaced the old ones is a 64-bit Qualcomm Snapdragon 410 processor, with a processing speed of 1.2 GHz. The Galaxy S4 Mini Plus is teamed up with an Adreno 306 GPU. 2. 1.5 GB of RAM, and 8 GB of internal storage which is expandable via microSD. 3. It has 8 megapixels rear camera, and 1.9 megapixels front facing camera. 4. 1900 mAh of battery power. 5. 4G and LTE compatible. 6. Galaxy S4 Mini Plus runs Android 4.4.4 KitKat onboard. The Galaxy S4 Mini Plus is priced at €190 to €239. This phone has optimum specs compared to its budget. So let’s hope Samsung brings it for other countries. How to Create Free iPhone Ringtones using Songs in iTunes Library? samsung galaxy s4 mini plus is a very high quality smart phone having number of different features, having internal storage which is expandable, having 8 mega pixels and 1.9 mega pixels front camera,more battery power and can install latest versions and what not.wanna buy search in nearest stores.